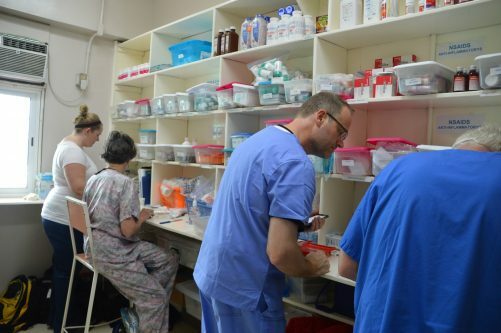 Next month, the WPC Haiti Medical Mission Team will leave for its second trip. One of the reasons that last year’s trip was successful was due to your generosity in purchasing many of the medical supplies we took with us. Beginning Sunday, September 11, you can sign up to donate over-the-counter medicines and supplies that we need to take for the people of Haiti. We will need to take thousands of vitamins with us, along with things like TUMS, saline nose spray, eye drops, Desitin, A&D ointment, antifungal cream, liquid soap, cough drops, and Ziploc bags.